Jaafar Aksikas, PhD, is Associate Professor of Cultural Studies and Humanities at Columbia College Chicago. He is also President of the Institute for Global Arab Media, Democracy and Culture and Chair of the Global Media and Democracy Association (GMDA). He is also Past President of the Cultural Studies Association (CSA) and current Editor of the Cultural Studies and Marxism Book Series. 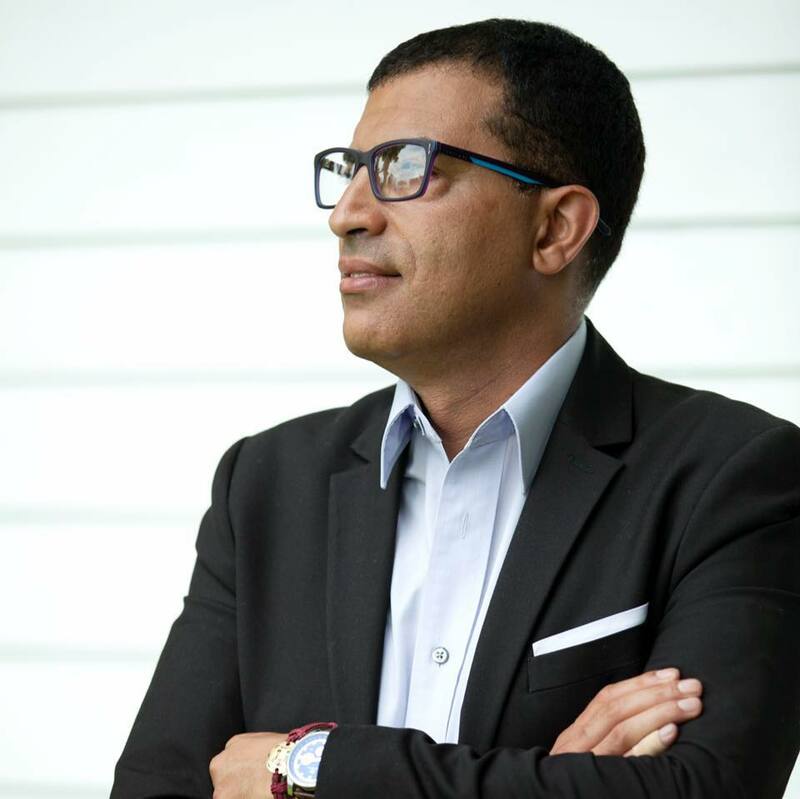 He holds a PhD in Cultural Studies from George Mason University and an MA in the Humanities from Al Akhawayn University in Ifrane (AUI), Morocco. His books and edited volumes include Cultural Studies and the âJuridical Turnâ: Culture, Law, and Legitimacy in the Era of Neoliberal Capitalism (co-edited with Sean Johnson Andrews, forthcoming 2016), Cultural Studies of/and the Law (co-edited with Sean Johnson Andrews, 2014), Arab Modernities: Islamism, Nationalism, and Liberalism in the Post-Colonial Arab World (Postcolonial Studies (2009) and The Sirah [Epic] of Antar: An Islamic Interpretation of Arab and Islamic History (2002). His other edited or co-edited volumes also include an inaugural special journal issue on the culture and media industries titled Culture Industries: Critical Interventions (2011), as well as a special issue on engaged and community-based forms of cultural studies scholarship titled Critical Purchase in Neoliberal Times, both for the Cultural Studies Association Journal Lateral. His articles, chapters and reviews have appeared in journals and collections such as Cultural Studies, Reviews in Cultural Theory, Lateral, Mediterranean Politics, The Bloomsbury Companion to Marx, and Cultuur en Migratie. Dr. Aksikas is currently at work on a book on the practices and politics of research in Cultural Studies titled Cultural Studies in Practice (under contract with Rowman Littlefield International). Dr. Aksikas has taught, researched, and published widely in the fields of Cultural Studies, critical ethnic studies, media and culture industry studies, critical legal and policy studies, American Studies, and Middle Eastern Studies. He also serves on the editorial boards of Cultural Studies and Lateral journals. He has received numerous awards, including the George Mason University Distinguished Alumnus for Cultural Studies (2017), The GMU VISION Award (2003). He is also a member of Phi Beta Delta Honor Society for International Scholars. He is the Founding and General Editor of Cultural Landscapes, the Founding Coordinator for Columbia College Chicago's Cultural Studies Colloquium Series, and he serves as a member of the Illinois Network on Islam and Muslim Societies. He has also served as consultant for lawyers and media on issues relating to Middle Eastern and North African cultures and politics. At Columbia, Aksikas teaches several of the core courses in the Cultural Studies Program, including Introduction to Cultural Studies; Methods of Inquiry in Cultural Studies; Capstone II: Thesis in Cultural Studies; Media, Politics, and Intervention; Theories of Media, Society, and Culture; Post-Colonial Studies; Globalization and Culture; and Marx and Marxism(s): A Seminar on Marxist Cultural Theory. Cultural Studies; Critical Ethnic Studies; Critical Theory; Research Methods and Methodologies; Post-Colonial Studies; Critical Media Studies; Globalization and Culture; Middle Eastern Cultural Studies; and American Studies.